Sneak into Daniel's diary this month. There's a lot going on in that epic and random mind of his. In just a few days, I’ll be hitting the road to visit the most epic young artists in the United States! It’s going to be crazy! Yes, I will have to close the gallery for a week while I do this, but the pay-off is going to be ridiculous. My days ahead will be spent foraging for new artists in the wilderness of the art world. And instead of unleashing their work slowly over the course of the year, I’m going to unveil it all in one big Mamma Mia! BANG! Boo-yah! Spicy Meatball! of a group show featuring originals, prints, and doohickey’s from all across this great land. PPS: I turned 27 years old this month! YAY!!! Tripper Dungan has a 6-page spread in the new issue of Hi-Fructose Magazine (on stands April 1st). A new exhibit of Tripper's work will open this Summer at Daniel Rolnik Gallery. 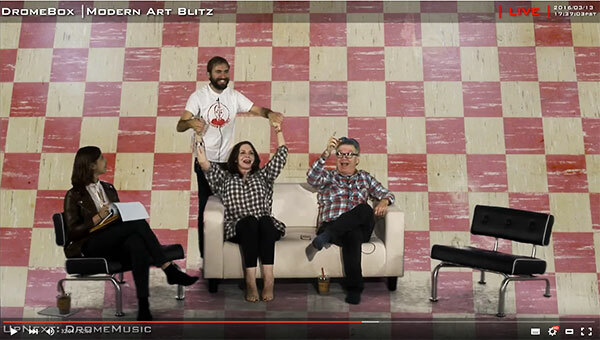 I was a guest on MODERN ART BLITZ hosted by art critic Mat Gleason and his sidekick Lisa Derrick. Click to watch the full segment. We talked about art world characters, the current show at DRG, and more! 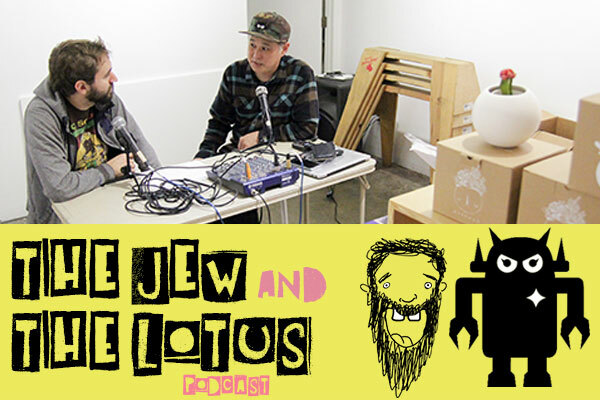 The Jew & The Lotus podcast is soon to be 12 episodes deep! Subscribe to the podcast hosted by myself and Eric Nakamura (founder of Giant Robot Magazine, Store, and Gallery) via iTunes, Stitcher, or our official website.